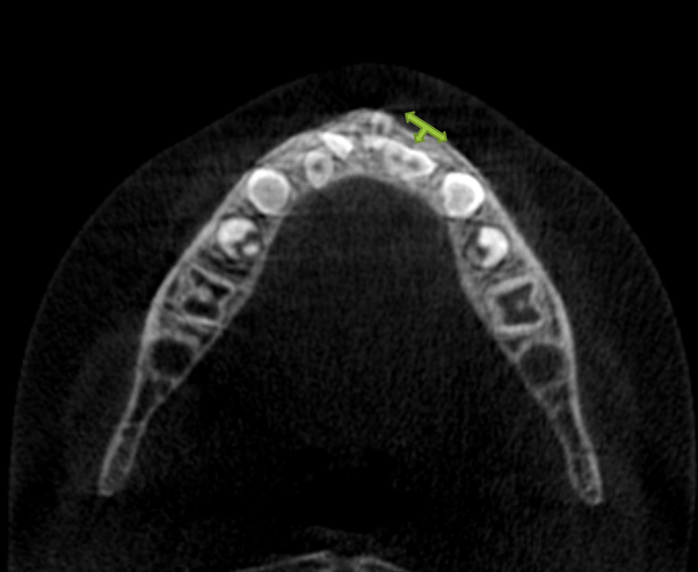 Gemination : Axial view from a CBCT: Note the double crown appearance of the deciduous mandibular left lateral incisorwith a central cleft. 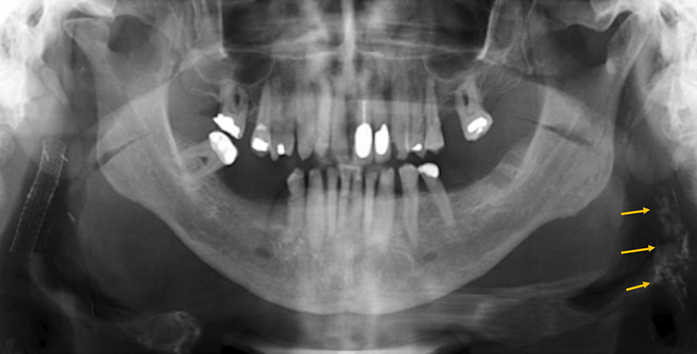 Gemination : Axial and Paracoronal views from a CBCT: Note the double crown appearance of the maxillary right second molar with a central cleft. XDR Radiology, your dental imaging solution, features patented Anatomic Intraoral Sensors, providing top tier imaging, superior ergonomics, and easy installation and use. XDR’s patented Imaging Software, and its PACS Plugin, offer unique image treatments and features including exposure feedback at every capture. And XDR’s VirtuCap software supports capture in Citrix environments, even across difficult networks. XDR’s sensors maximize mesial imaging area to help you capture challenging canine-premolar contacts. In synergy with XDR Software, our top tier contrast and spatial resolution mean you’ll see both the subtlest of lesions and the tip of your #6 file. XDR sensors’ rounded and beveled corners broaden the contact zone for increased patient comfort, matching the mouth’s contours. The sensor’s distinctive bright face eases intraoral visibility. The sleek button on its hermetically sealed shell allows for easy cleaning. XDR’s cord plugs directly into the computer, protects with its Kevlar reinforcement, and can be replaced for much less than the cost of a sensor. XDR Radiology is available through both GSA and ECAT contracts. XDR Radiology was founded with the goal of making advanced computer-based technologies more accessible and clinically relevant to the dental practitioner. We partner with doctors and staff, IT professionals, universities, equipment and software manufacturers. A voting member of ADA’s SCDI standards committee, we have federal contracts through both GSA and ECAT. 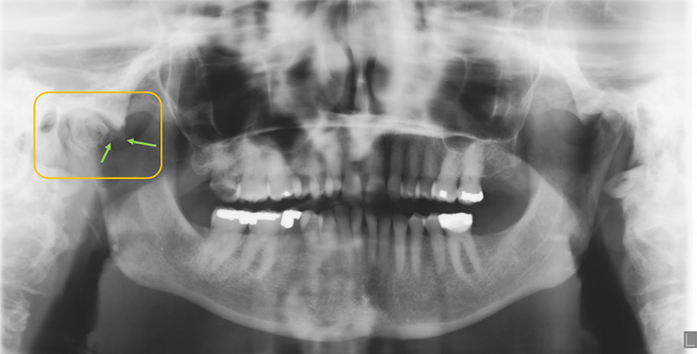 XDR believes radiography should be provided by dentists to dentists. With clinical focus and personal feel – instead of corporate brashness – we deliver a top tier imaging solution without the top tier price, featuring unique, patented XDR Imaging Software and the Anatomic Intraoral Sensor. We design our own sensors and write our own software. Every decision is based on dentistry and science. Every doctor matters. Every call counts. Barco dental displays help boost diagnostic accuracy and streamline workflow. Barco’s dental displays are designed to provide the visual precision clinicians need to find more disease and treat more patients. 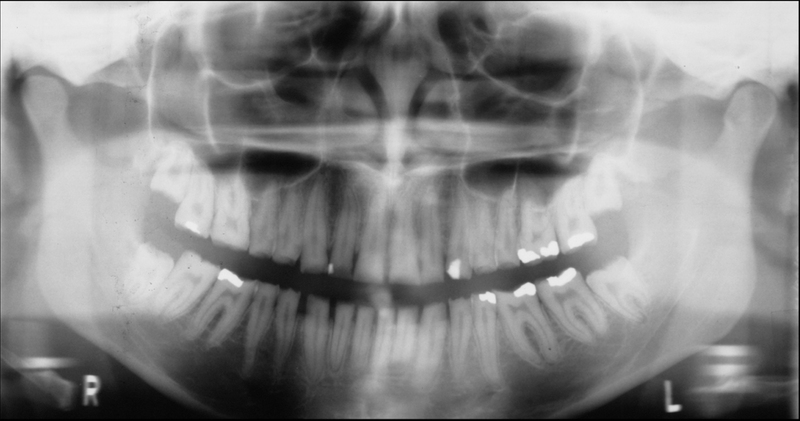 With our integrated uniformity technologies, subtle abnormalities or concealed anatomical structures in maxillofacial imaging can be visualized without imperfections. 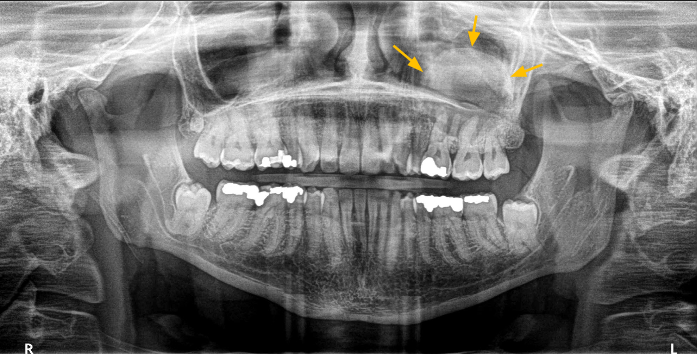 There is a metallic radiopaque entity superior to the sella turcica on the CBCT images. Inferior to this entity is a linear tubular radiopaque entity. 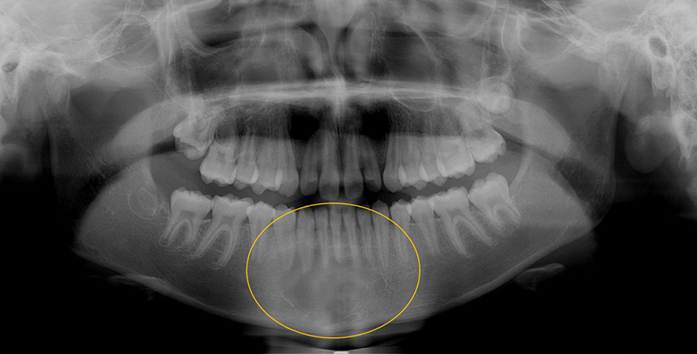 There is a huge radiopaque mass attached to the maxillary left second molar. 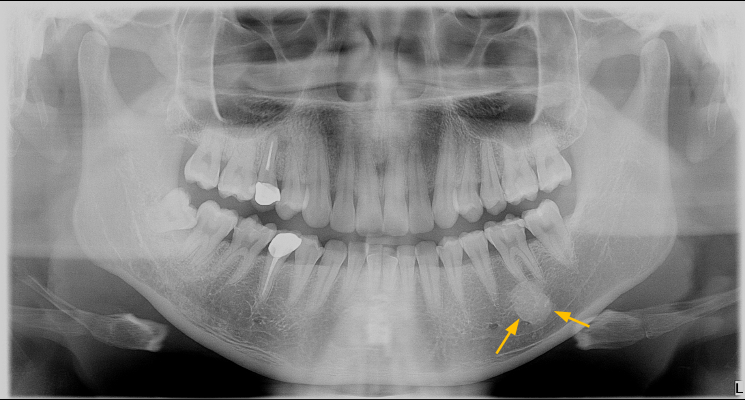 Visualize the radiolucent area between the maxillary right canine and lateral incisor. 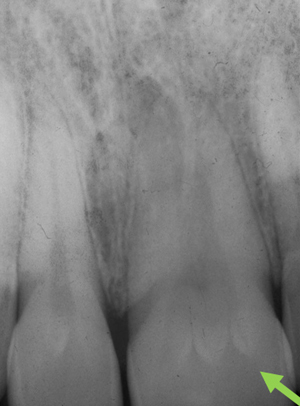 There is a radiopaque area inferior to the mandibular left first molar. 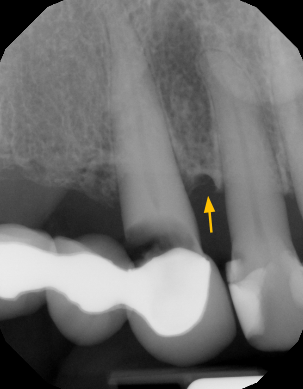 There is a radiopaque area on the occlusal surface of the mandibular left second molar within the follicle. 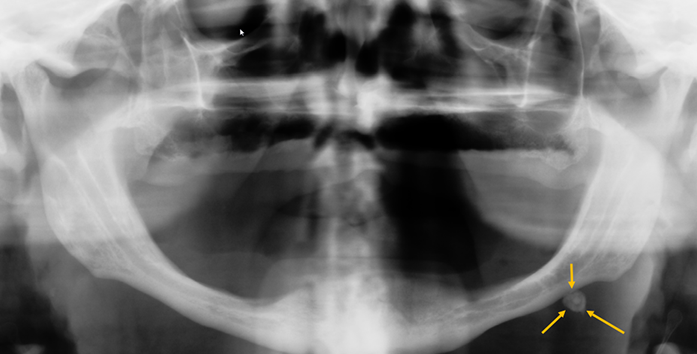 There is a radiopaque area (radiolucent but due to superimposition of structures appears relatively radiopaque) on the floor of the left maxillary sinus. The superior borders are clearly visualized to be corticated. 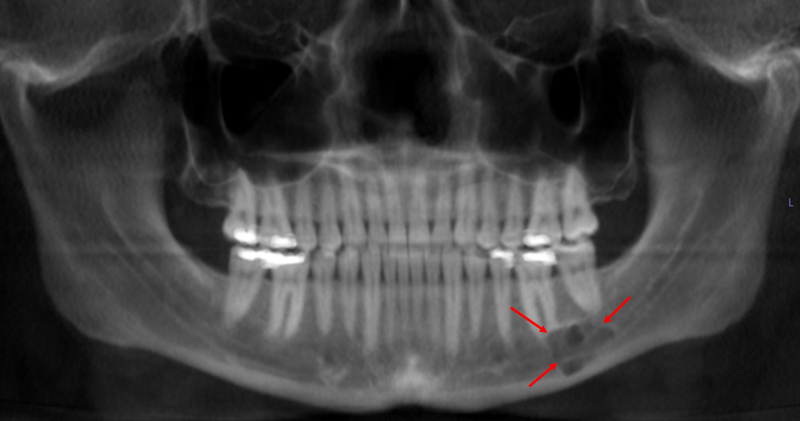 There is a distodens in the maxillary right third molar region. There are linear radiopaque entities in the soft tissue of the neck. The entities almost have a tubular outline. 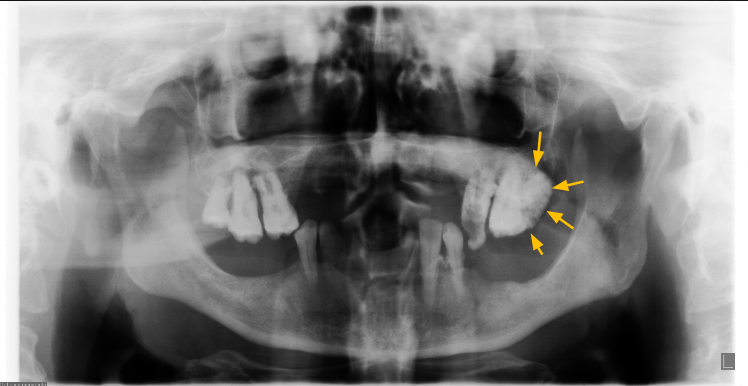 There is a heterogeneous radiopaque entity anterior and inferior to the angle of the mandible on the left side. The entity appears to have a concentric lamellated appearance with a radiopaque center. Is it normal or is it Pathological? 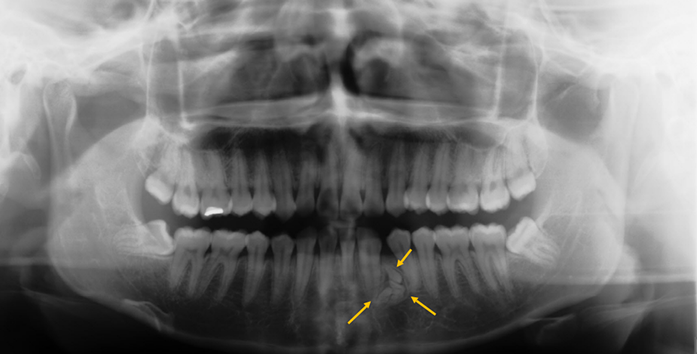 There are multiple small radiopaque entities in the left side of the mandible between the canine and second premolar. These entities have the appearance of small tooth like structures (enamel, dentin and pulp in an organized fashion) within the same follicle. 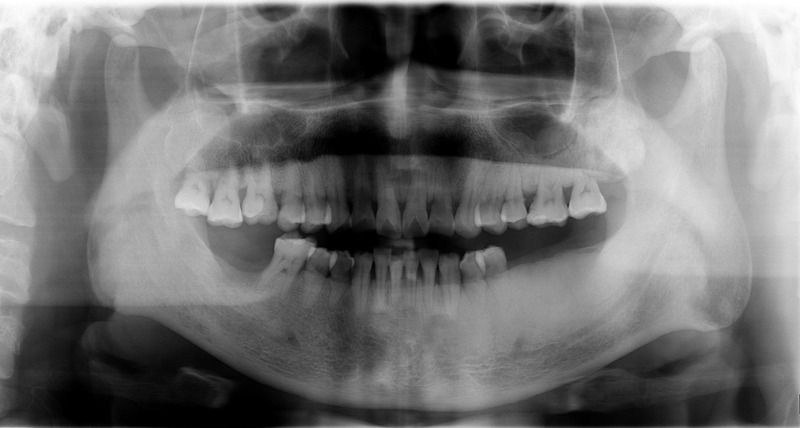 There is a radiopaque area superimposed over the right condylar head. 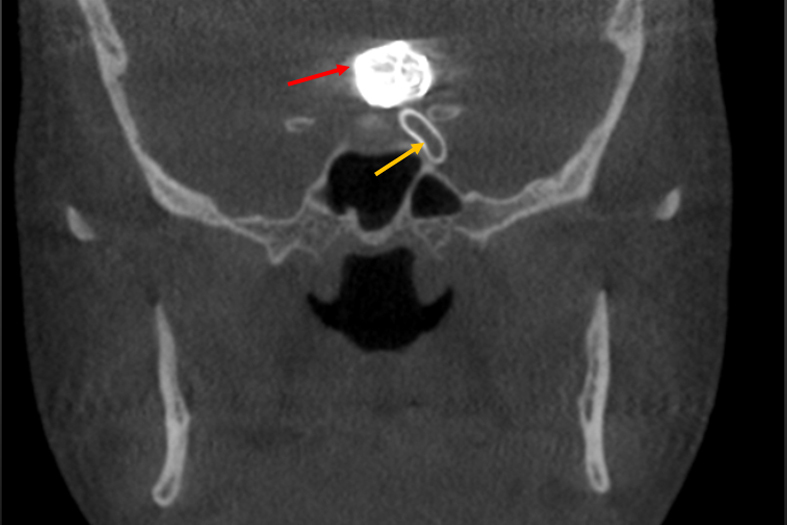 There are small radiopaque masses anterior to it (green arrows). Thank you! You have been successfully added to our emailing list.